A Research Conference addressing the challenges facing water and urbanization in the 21st century. There are multiple interlinked challenges facing water and urbanization in the coming century. Water resource security is threatened by a changing climate with floods, drought and changing water quality, opportunistic pathogens and invasive species and loss of aquatic biodiversity. Delivery of water to industry, the community and agriculture is compromised by aging and inadequate infrastructure with energy production being closely interlinked. For freshwater, dealing with the trifecta of resource scarcity and excess, aging infrastructure and climate change is estimated to be a $23 trillion challenge globally over the next 15 to 20 years. Urban areas are at the epicenter of many of these challenges as demographics shift, spurring urban expansion and accelerating demands on existing urban infrastructure. This has focused attention on heightened vulnerabilities of urban freshwater systems and urban populations that are exacerbated by uncertainties in the magnitude, if not the direction, of future change. This conference will highlight new research that addresses the issues of Emerging Threats, Critical Infrastructures and Evolving Policies surrounding the availability of freshwater. 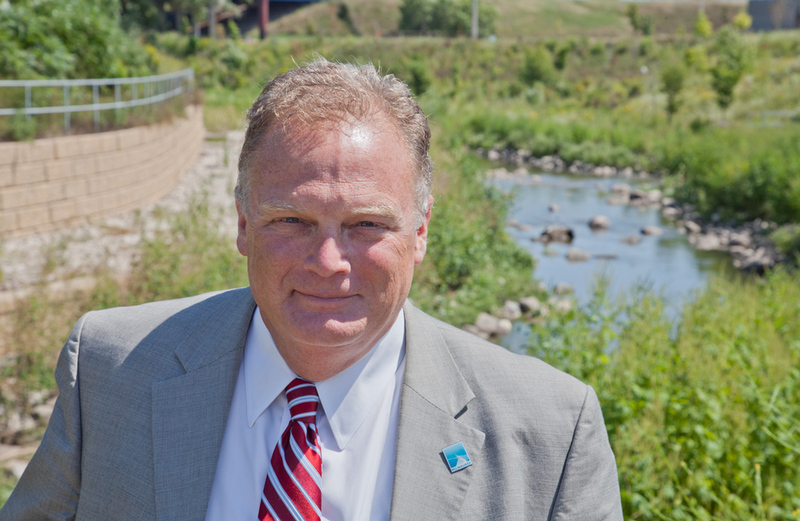 Kevin Shafer became the Executive Director of the Milwaukee Metropolitan Sewerage District (MMSD) in 2002. As Executive Director, he is responsible for the overall management, administration, leadership, and direction of MMSD. Under his leadership, MMSD instituted a regional stormwater runoff rule and has been a leader for innovative ways to manage stormwater runoff. His regional leadership was recognized through the District’s receipt of the 2012 U.S. Water Prize, awarded by the U.S. Water Alliance. Prior to joining the District, Shafer spent 10 years in private industry and six years with the U.S. Army Corps of Engineers in Fort Worth, Texas. He is a past president of the National Association of Clean Water Agencies. Currently, Kevin is the Chair of the Water Environment Research Foundation and of the U.S. Water Alliance’s Urban Water Sustainability Leadership Council. 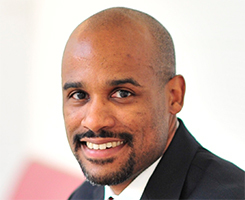 2012 – The University of Wisconsin’s LaFollette School of Public Affairs, Lloyd D.
Andre Marshall joined NSF in 2017 as Program Director for the Industry University Cooperative Research Centers Program (IUCRC) on assignment from University of Maryland, College Park. His experience spans roles as a corporate R&D engineer, an academic, and an entrepreneur. He joined the faculty of University of Maryland after developing patented next-generation low-emission technology for Rolls-Royce as part of the NASA Advanced Subsonic Transport (AST) program. 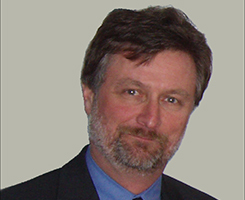 At University of Maryland, Dr. Marshall is an Associate Professor in the Department of Fire Protection Engineering and Director of the Fire Testing and Evaluation Center (FireTEC). His research interests include fire suppression sprays and fire induced turbulent transport. In 2007, Dr. Marshall received the prestigious NSF Presidential Early CAREER Award for Scientists and Engineers (PECASE) for his research on spray characterization. The PECASE award is the highest honor bestowed by the U.S. government on scientists and engineers in the early stages of their independent research careers. Prof. Marshall’s research team has collaborated with Fortune 500 companies such as FM Global and United Technologies on a variety of fire suppression challenges. In 2012, Prof. Marshall established a technology start-up team through the NSF I-Corp program focused on commercializing innovations in spray technology. His technology is currently being licensed in the fire protection industry to improve fire sprinkler system design, evaluation, and optimization. Jeff has devoted his entire career to the protection and restoration of water resources and the environment, at the watershed scale, local, state and Federal levels of government, and in the private sector. He has held several senior leadership positions throughout EPA for 25 years. He is currently serving as Acting Director of the Office of Science and Technology in EPA’s Office of Water. Among other roles, he is the “chief water technology and innovation evangelist”. Previously with EPA, Jeff served as Director of the Chesapeake Bay Program and Director of the Alternative Dispute Resolution Program. Jeff has supported water resource protection efforts with the Washington Suburban Sanitary Commission, NYS Department of Environmental Conservation and with three private sector firms. Jeff has a Bachelor’s in Environmental Science (SUNY Plattsburgh) and Master’s in Environmental Science and Engineering (Virginia Tech). Jeff has been passionate about water resources since the very beginning. Jeff grew up in the Adirondacks of New York, on Lake George and Lake Champlain, where he gained an early and keen appreciation for water resources and the natural environment. Clare Lyster is an architect, educator and writer based in Chicago. Her work focuses on the design of the city from the perspective of contemporary theories in landscape, and infrastructure. She is author of Learning from Logistics: How Networks Change Cities (Birkhäuser, 2016) and co-editor of Third Coast Atlas, A Prelude to a Plan (ACTAR, Fall 2017) with Daniel Ibañez, Charles Waldheim and Mason White. Previously she edited, Envisioning the Bloomingdale: 5 Concepts (Chicago Architecture Club, 2009) and 306090 vol. 09, Regarding Public Space, with Cecilia Benites (PA Press, 2005). Her writing has appeared in a range of venues from Cabinet to Volume and as chapters in edited anthologies on landscape and mobility networks. Research and design, produced by her practice, CLUAA, has been exhibited locally and internationally including the Art Institute of Chicago, University College Dublin, The Lisbon Architecture Triennale (2016) and the Seoul Biennale of Architecture and Urbanism (2017). Clare has been awarded grants from the Arts Council of Ireland, the UIC OVCR Grants for the Arts, Architecture and Design and the Humanities, and the Graham Foundation. 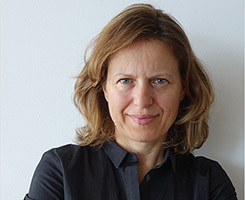 She is an Associate Professor at the UIC School of Architecture (Chicago) and she is the Gillmor Lecturer at the University of Calgary in fall 2017. Scott leads CNT’s work to understand and better disclose the economic value of resource use in urban communities, and helps craft strategies to capture the value of this efficiency productively and locally. 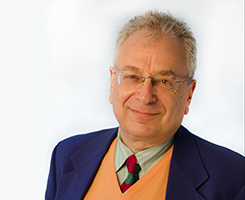 He studied at Northwestern University, served on the research staff of Northwestern’s Center for Urban Affairs, taught at UCLA and was a founding Board member at the Brookings Institution Metropolitan Center. President Clinton appointed Scott to the President’s Council for Sustainable Development, where he co-chaired its task forces on Metropolitan Sustainable Communities and on Cross-Cutting Climate Strategies and contributed to other federal advisory panels on global warming, development strategy, and science policy. He helped write a climate change strategy for the 1st 100 days of the new Administration. Scott is a Fellow of the Center for State Innovation; a Board Member of the American Council for an Energy-Efficient Economy and Congress for the New Urbanism; works with governors, mayors and metropolitan organizations across the US; and helped create the Chicago Climate Action Plan at the request of Mayor Richard M. Daley. Scott also offered strategies for incorporating location efficiency into Memphis Mayor A C Wharton’s visionary plan to reduce the city’s poverty rate by 10% in 10 years. CNT is a signer of the Charter of the New Urbanism and Scott is a member of the Urban History Association, which includes urbanists old and new. Some key ideas in Scott’s work are that successful urban and metropolitan economies are “high-road,” that is, they provide higher wage, lower waste and most inclusive economic pathways; that they work best if founded on economies of scope or network economies as opposed to simple economies of scale, and that communities contain assets that too often are hidden, disconnected or poorly deployed; all of which are changeable conditions. A beneficial result of these ideas is a blurring of the lines between “consumers” and “producers” of public goods. 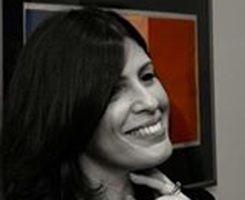 Talia Tzour is the Chief Israel Emissary and has been with Keren Kayemeth LeIsrael Jewish National Fund (KKL-JNF) for the last 24 years. She oversees the National Water Task Force, the Arava Task Force, and the connection between KKL, JNF, and the Shlichim. Talia, who has been working with KKL-JNF for almost 3 decades, has climbed up the organization ladder and prior to her Shlichut she served as a senior advisor to KKL’s World Chairman and was a member of KKL’s Executive Management. During this time she played a major role in the process of initiating, selecting and executing hundreds of JNF-KKL’s projects throughout Israel. Between 2005 and 2012 she served as the Israeli Emissary to New York and New Jersey. Recently, Talia came back to the Jewish National Fund after two and a half years in Israel, where she served as KKL’s Director of Major Donors. Born and raised in Jerusalem, Talia spent her army years as a member of the Nachal Brigade and during the course of her service helped found a new community in the Galil, one that still stands today. After receiving her undergraduate in International Relations and Sociology from Hebrew University, she went on to receive advanced degrees in Business Management and Fundraising at Hebrew University and Tel Aviv University. Talia is married to Dani and a mother of Hadar, 26, and Liron, 24.